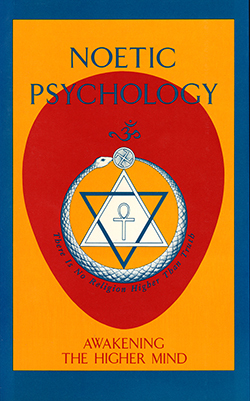 Noetic Psychology consists of sixteen essays which expound the nature and potential of consciousness from a universal and spiritual perspective. Ranging from discussion of after-death states to the dual nature of mind, from the subject-object distinction to criteria for truth, and from levels of consciousness to the value of meditation, each essay explores an aspect of human nature and offers practical suggestions for living one's life on a sound basis. "Nature and Man" by H.P. Blavatsky sets forth vital connections between human evolution, the constitution of man and after-death states. "The Subjective and the Objective" by W.Q. Judge uses Plato's Analogy of the Cave to indicate the ultimate collapse of the subject-object distinction in the light of monadic evolution. Robert Crosbie's "The Kingly Mystery" views life itself as the profoundest mystery, and shows that divinity is not the prerogative of any person but is attained only through sustained effort. "The Sutratma" by H.P. Blavatsky considers the nature of the Higher Self and what survives death. In "Manas", W.Q. 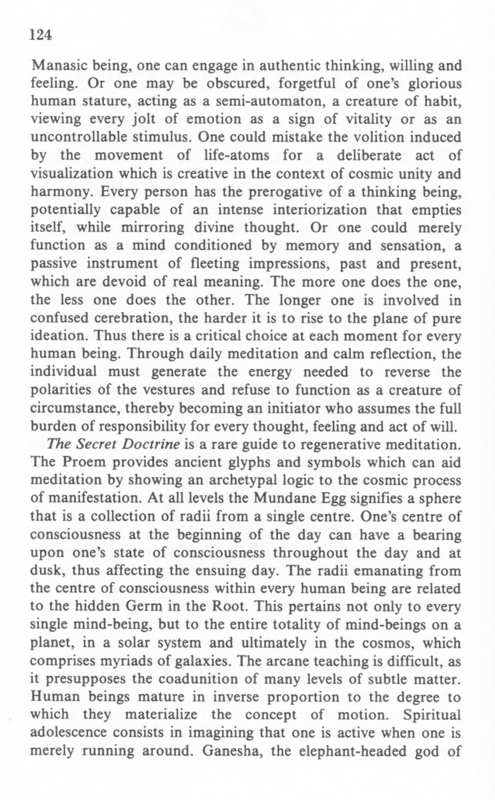 Judge elucidates the dual nature of the human mind, the implications of which for meditation and self-study are examined by K.S. 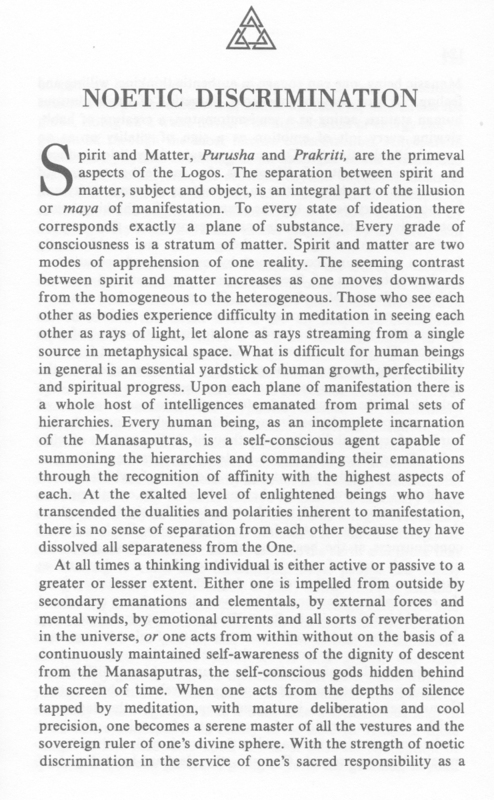 Lakshminarayan in "The Mystery of the Ego". In "Psychology: the Science of the Soul", H.P. Blavatsky distinguishes firmly between psychic and noetic action, laying the basis of a purely noetic psychology. "Universal Applications of Doctrine" by W.Q. Judge clarifies the criteria for spiritual wisdom, and D.K. Mavalankar's "Contemplation" applies them to meditation and the quest for perfection. In "Consciousness", H.P. 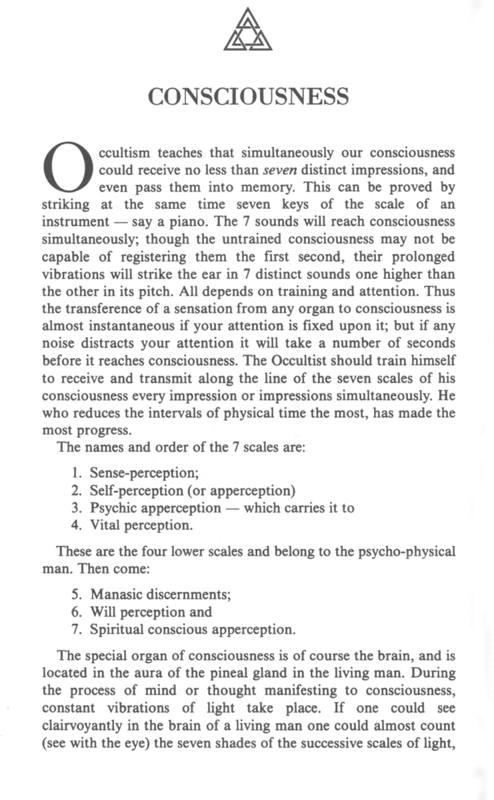 Blavatsky indicates the seven levels of consciousness, and deals with psychic vampirism and mesmeric influence in "Hypnotic Suggestion". 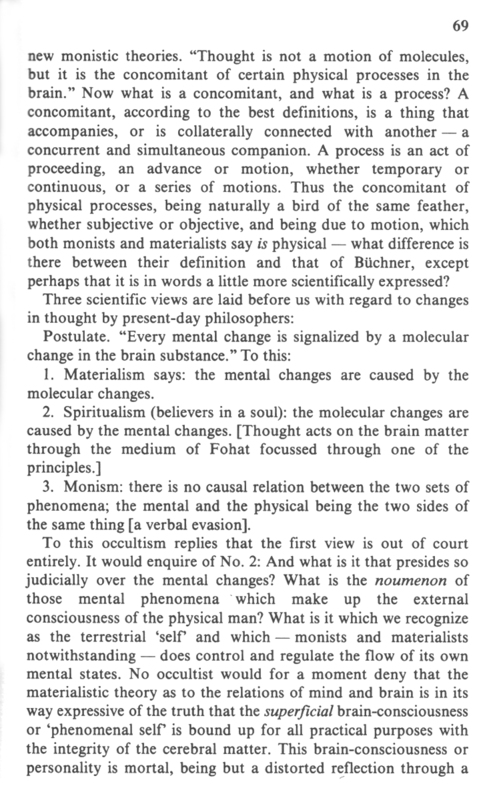 The underlying laws of psychic phenomena are outlined by W.Q. 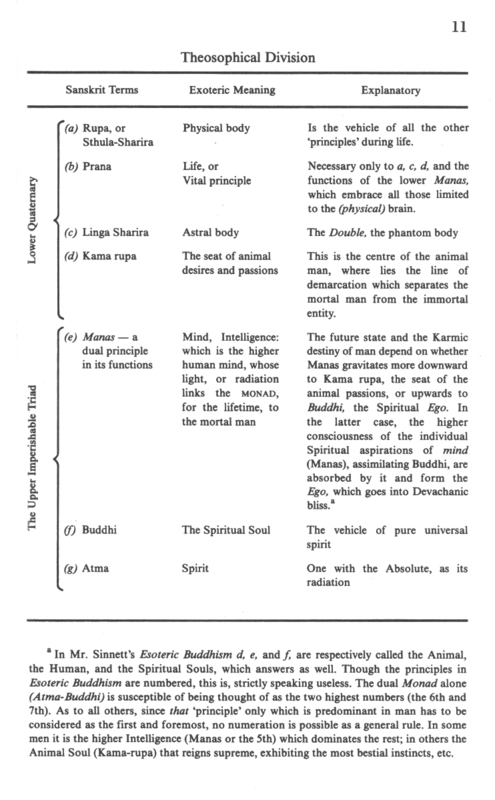 Judge in "Psychic Laws, Forces and Phenomena", and the natural forces involved are discussed in "Elementals and Karma". The volume concludes with H.P. 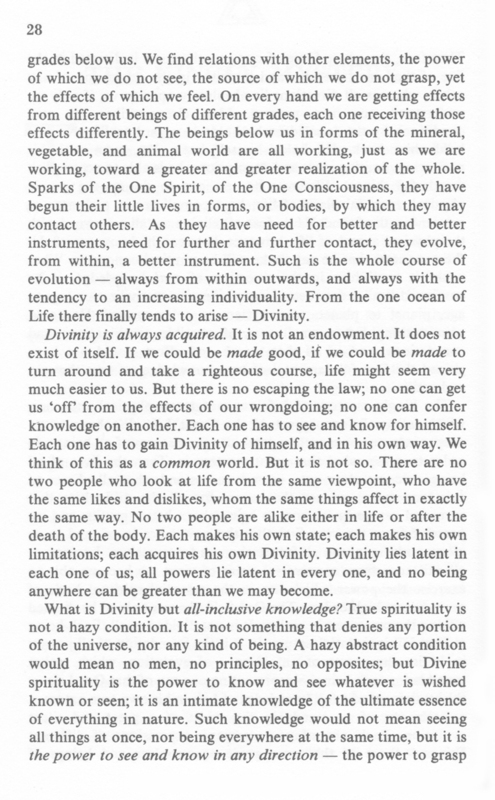 Blavatsky's insightful "Will and Desire", W.Q. Judge's "Thoughts", suggesting that thoughts can have lasting effects, and K.S. Lakshminarayan's "Noetic Discrimination", intimating the inward path of self-testing and self-knowledge. 130 pages. Sewn, softbound with dust jacket. The 'kingly mystery' is Life itself. We all have Life. We all have Life. We all are Life. Every being everywhere is Life — expresses Life. To know what is Life itself is to know the mystery. But there is a condition precedent to this mysterious knowledge, stated by Krishna, in the opening of the Ninth Chapter of the Bhagavad Gita: "Unto thee who findeth no fault I will now make known this most mysterious knowledge, coupled with a realization of it, which having known thou shalt be delivered from evil." When the one who desires to learn is not in a critical attitude, when he has sensed in one way or another that truth lies in a certain direction and gives all his attention to it without quarrelling with terms or the ideas put forward, his is the attitude of the true student. The one who desires to know must set aside for the time being all preconceptions, pride, and prejudices which he may have held, and then he is ready to begin his studies — to take the first step in the right direction. The world is full of false ideas, false religions, false philosophies which must be thrown away. We of the Western peoples have been taught that we were poor miserable sinners who could do nothing of ourselves. We have assumed that we are poor miserable sinners and have acted as such. Our whole civilization is coloured and steeped through with this falsity. Our theologies, our sciences, our commercial, social and political conditions are all based on this false idea, which in its turn rests upon another equally false — that man is here on earth for once only. Hence, that his entrance on this physical scene was through the act of others, and we believe that whatever of merit or demerit is his was handed on to him by his forbears. As a consequence, man constantly shifts his responsibility, and acts as an irresponsible being. The whole falsity of our existence is centered there, for we are responsible for every ill that exists among us; every kind of suffering on every hand has been brought about through a false idea, and the false action which followed. What are sin, disease, sorrow and suffering but the result of our own thoughts and actions? Again, we say "we cannot know"; or, "this life is all there is". Therefore, the whole force of our consciousness is directed in the line of that one false idea and inhibited in the expression of any other; whereas all directions lie absolutely open to us, if only we understand our own natures. Man circumscribes his own conditions by the false ideas he holds in regard to life. No one holds him back. He holds himself back. Yet, even with his narrowing, limiting ideas and conceptions, he is able to accomplish wonderful things. Whatever he sets out to do on the purely physical, material plane of life, he accomplishes in a shorter or greater length of time. If his ideas of religion are all concerned with the physical aspect of life, however, how can he know more? All the conquests that he can make will be physical conquests. What could it avail him in the direction of real knowledge, if he continued similar conquests from civilization to civilization, age to age, planet to planet, solar system to solar system? He could gain nothing but a small sum of possible combinations and correlations, and in all that search and effort would not have gained the first fundamental of true knowledge, of true thought and action.